Join this highlights tour for an insider's view of America's most glamorous city! Travel in style in a climate controlled passenger vehicle as your expert guide whisks you through the City of Dreams. 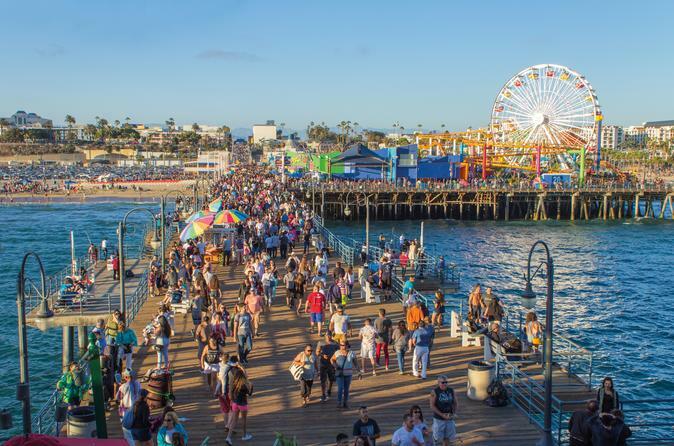 On this 7-hour comprehensive tour, your guide will take you and your small group around LA to see some of the city's most iconic features and you'll fully be immersed in the California culture. As you make your way into Hollywood you will pass notable locations including the iconic Hollywood Sign. Count stars on the Walk of Fame. Fit your hands into the impressions of legendary actors at Sid Grauman's Chinese Theater. Don't forget to strike a pose at the Dolby Theater where the Oscars are held.